There’s no better way to start any journey than to start prepared. Even if you’re only preparing the ground work in your mind. 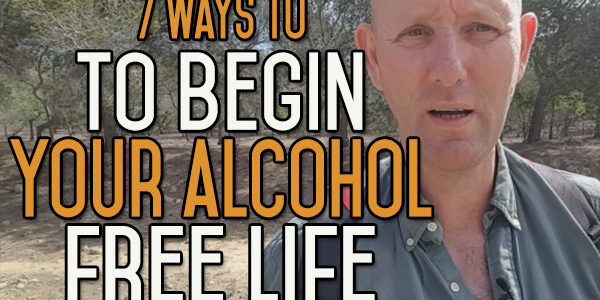 Today’s video is a short rundown of a few different ways that you can kickstart your alcohol free journey. Today I’m going to give a short run down on several different ways that you can get your alcohol free journey off to a good start. You might think this sounds obvious but it is a prerequisite to anything else. The first thing you have to do is to get the alcohol out of your system, life and house. Get rid of anything that reminds you of alcohol. Now, I’m not telling you to get rid of your Wife or Husband if they are still going to drink – that’s going a bit too, far right? But get rid of anything inanimate. Without stopping drinking alcohol you can’t go forward and keeping alcohol and reminders is just putting unnecessary road blocks in your way. Get persistence and determination into your head and one of the best ways I know how to know that is affirmations. The best affirmation, the most simplest for gathering and deploying your persistence muscle, is to say to yourself. And you say that in a way that everything about this whole thing screams that you are in control and that you are going to do this. Say it with passion and get passion behind it, all this comes together and brings you into that elevated state of mind. Say whatever you want to say but get it into your head that you are doing this you, are a dogged fucker- no matter what happens you are going to be like a dog chewing a bone, there’s no way, nothing is going to turn you away from this or deter you from the course you are on. I persist. Those two words, that one word on its own persistence is the way most people succeed and why people fail. The majority of people that try to persist will succeed, if you keeping persisting, even if you fail on the way, if you persist you will do it in the end. I persist. As I said earlier you have to get the alcohol out of your mind, you don’t drink alcohol any more so you don’t need any alcohol equipment. You’ve got to organise your environment in such a way that means you can make the change from being a drinker to non drinker, whatever that means to you. To me it was not putting myself in situations in the first few weeks where I would have time on my hands to think about it, so I went walking a lot and did a lot of different things to keep my mind as organised as I could. That’s organising your environment. Paint a room, do whatever it takes to keep your mind occupied and do it in such a way that you are organising your environment so there are as few alcohol triggers as possible. Don’t put yourself into a position where you’ve got these triggers in front of you or where you’ve got the alcohol in front of you and you’re saying to yourself “I have will power, I’m just using my will power now and that’s all I need because I’m strong and I’m proving to myself that I’m strong” all you are actually doing is putting temptation in your way and the more temptation you put in your way the more likely is that you are going to fail. Organise the people in your life. Make sure you tell the people that you care about that you’re quitting drinking. You don’t have to say it in that way, you don’t even have to mention alcohol to them, you have to say it in such a way that they are going to accept that you not drinking is a part of their life. You don’t have to focus your attention on the alcohol, as soon as your start focusing your attention on the alcohol then they focus their attention on the alcohol as well. So tell them that “I’m trying to lose weight, get fit, cram for this exam“, whatever it is you are trying to do and when I talk about getting your reasons to quit this is one of the reasons why. We all know why we want to quit, but get your specific reasons down and understand why you are doing this for yourself, because the more specific your reasons, the more reasons you have in front of you and the easier it is for you to motivate yourself, to inspire yourself and to carry on to give yourself that persistence. It also gives you the benefit that you’ve got all these things that you can say you are doing “I’m trying to improve my health and as part of that health improvement I’m going to start eating a better breakfast every morning, I’m going to start drinking more water and I’m going to stop drinking alcohol for a while” and that’s all you need to do. You don’t have to focus on the alcohol, it’s the easiest way of doing this. You’re not pulling the wool over anyone else’s eyes, you are just reframing things in the way you want to reframe it. Start looking for things that you can do instead of drinking. I’m not talking about switching alcohol for coke or switching the behaviour of alcohol for another buzz but looking for alternatives in your life. For me it was walking, yoga, meditation and there were a few other things that I wanted to do and you might not know a lot of things that you are going to do in the beginning because you don’t know much else. I didn’t know much else. Relaxation for me meant, using alcohol; socialising for me, meant drinking alcohol – alcohol was just a pervasive place in much of my life. So, if you have some things that you want to do, think about them now, even if it’s just getting out walking, taking a class – just do something different. Take a step forward, you don’t have to re-organise your whole life, just reorganise things so when you normally would be drinking, you’re not doing it any more, you’re trying to do something different, trying to get alternative things in your life. Take things slowly, moment by moment, step by step, bit by bit. These are the only ways you can do these things. 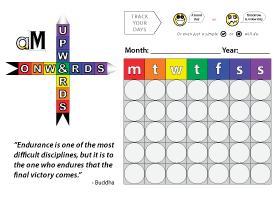 You’ve got to do something, you’ve got to take yourself in the direction that is away from the alcohol, away from the alcohol behaviour, but you’ve got to do it in such a way that you are learning how to do it in a methodical, forward looking approach. Just do it step, by step, by step. Have a goal so those steps forward are leading somewhere; taking you towards your goal and what you want to be doing in five years, ten years’ time. You don’t even ever have to get to that goal – but your life is just going in that general direction, where it’s positive. It’s leading you away from the alcohol into a new life, away from the alcohol, leaving the alcohol behind you, that’s so important. For me it’s the most important part of this whole process, it is something that is going to pull you forwards from the front, something which gives you such excitement and it can be something massive because you want something that’s going to give you passion and pull your forward and give you a buzz, a natural high. Then as I say break things down step, by step, by step, until you find the step that is small enough for you to do right now and you look down and think that’s one step in the right direction and then you take a second, third, fourth and you get momentum and you start heading forwards, towards the goal that you want to achieve in your life. With any mountain, every time people want to climb Everest the largest mountain on this planet, they have to start at the bottom, they have to start one step after another, up and up and up and up and eventually if they are lucky and they persist, they will get to the top. So, that’s my take on how to start this journey and some tips on giving you the best possible start. If you enjoyed that give us a big thumbs up, or normal thumbs up I don’t think you can give a big thumbs up. If you are on the website you can’t give any thumbs up, but leave a comment if you are on the website, I would love to know what you have to say about that. Also on the website if you want to go over there and you want some help on this journey you are just starting and you are looking for someone to give you some good advice on how you can do this for yourself and how you can pull yourself up by your bootstraps and take this journey on your own, I’ve done over six hundred videos now on so many topics from inspiration, from helping you deal with the day by day stuff that you might go through, the cravings, the moment by moment stuff, how to beat the addiction, how to beat the habit, how to beat the behaviours and it’s all free. It’s all over there, so go over and have a look. There is a search bar on the top right hand side of the website, just type in the key word that you want to search for, say if you want to search for things on cravings, put cravings in the box, click search – there’s a little magnifying glass – click that and all the videos that have cravings in the transcript will come up and you can go through those. Sleep is another one, just think of a keyword or phrase. If you want some more step by step courses, those are in store, they cost a little bit of money but not so much that normal people can’t afford them, most of the courses are under $50 and as I say it is a step by step approach. 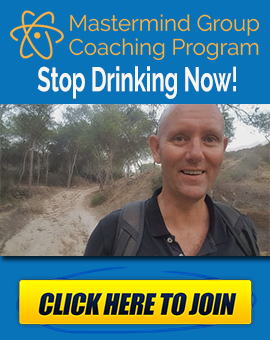 We’ve got one video course that deals with just the whole theory behind quitting drinking alcohol and the whole theory behind alcohol in general in our culture and I think that one alone is the one that gets the best review because people have said it’s taken them from looking at alcohol as something that you do naturally or normally to something which changes their whole thinking, and the way they perceive alcohol in their own life. 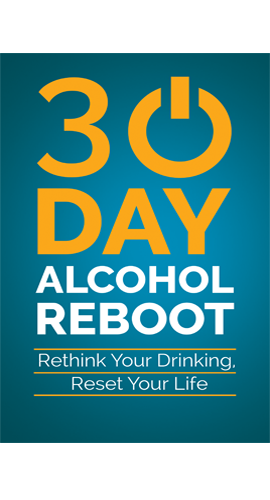 The most recent course that I’ve done is the ‘thirty day reboot‘ which is just helping people to take their alcohol quitting journey for thirty days and for my money if you can do it for thirty days, you can do it for the rest of your life because those thirty days give you that experience of what it’s like to stop drinking alcohol. You’ll find that in the store as well and we’ve also got another course on preparation. 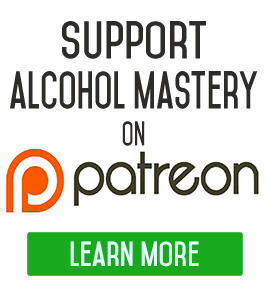 If you want to support the website, if you want to support me, you can do so by going over to www.alchoholmastery.com/patreon and you can become a patron for the shows for a couple of euros, a couple of dollars or whatever your currency is, for as much as you like, it’s up to you and all patrons are very welcome. Does My Partner Drink Alcohol and How Does That Affect My Quit?